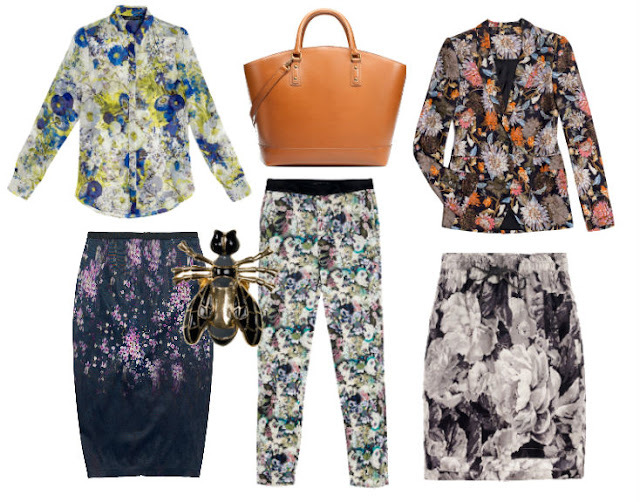 If you were a fan of Erdem's fresh florals on their SS12 catwalk, then you're sure to love Zara's new season collection. Dense and ditsy floral prints decorate blazers, shirts and pants, adding a fresh breath of spring air to the collection. There's also fab leather totes that have a designer feel for a desirable pricetag. To update your SS12 wardrobe in an instant, I recommend investing in a pair of printed floral trousers that will look just as good with a slouchy grey marl tee as with a crisp white shirt. Blooming lovely! Shop the new collection as it arrives at Zara.com. ooo I love the blazer and bag! I love floral and Zara so this is a perfect combination! I didnt get the chance to see the collection so thanks for sharing! LOVE the pants and skirt!